Disk Doctor Pro is our all-new and ultra-powerful disk cleaning app that is capable of removing gigabytes of unneeded files from your Mac within just a few minutes. The app automatically scans your Mac’s hard drive and quickly displays a huge range (see below) of files that can be safely removed to free up valuable disk space and improve system performance. Caches are used to speed up your apps. However, some apps do not delete their caches after they are no longer needed. This can lead to wasted disk space. Some applications automatically create log files that may become quite large. Removing these is an easy way to free up disk space when you are running low. Uninstalled applications sometimes do not fully remove all their associated files. You can free up disk space by removing these unnecessary files. Your web browser stores content from web pages on your hard drive. These caches can make websites faster, but often caches become filled with outdated files. Using iTunes to manage and update your iOS devices can often generate lots of temporary caches and files. These can be removed to free up disk space. Unused applications provides a list of apps that have not been used in over 90 days. Use this section to identify and remove apps that you no longer need. You can safely delete old iOS software updates that you no longer need to reduce your disk space usage. Removing old iPhone and iPad backups is often a quick way to free up a huge amount of disk space. Partial downloads can be identified and removed as they are files that have not been successfully downloaded due to either being paused or cancelled. Your downloads folder can become very large as it is the default location where files are saved to. 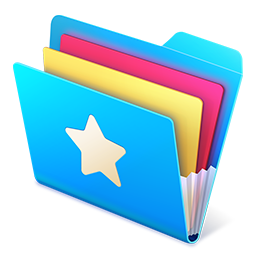 Our app can help you to identify files that you no longer need. Attachments received via email are often temporarily saved to disk if viewed within your Mail app. Deleting these files will free up disk space without impacting the original email attachments. Message attachments are files you have sent and received via the Messages app. Deleting these files can help free up valuable disk space. Files on your Mac that are larger than 100 MB are identified. You can browse through this list of files and select any that you no longer need. When developing using Xcode, your projects will generate intermediate build files, indexes and archives. Deleting these can save disk space and also help fix performance issues and build errors. These are corrupted or damaged preferences for apps installed on your Mac. Deleting these can help solve problems and free up disk space. Sometimes when an app is deleted, a broken link to it can remain in your Login Items. This is unnecessary and can be safely removed. Screenshots that you capture on your Mac can accumulate over time, cluttering up your desktop and taking up valuable disk space. 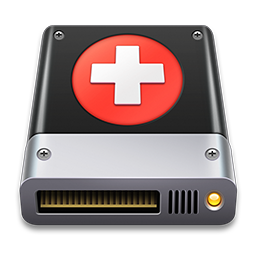 DMG and PKG files are typically used for macOS software installers. After installation of an app, you can save disk space by removing these files. Disk Doctor Pro features a slick user interface with two beautifully crafted themes to choose from. 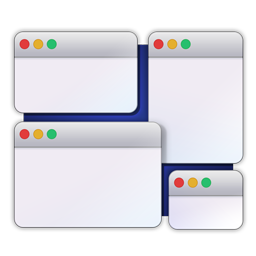 Our app is trusted by millions of Mac users and has been featured by Apple as an Invaluable Utility. With over 8 years of experience, we have created Disk Doctor Pro to set a new gold standard for disk cleaning on the Mac. Download the demo and see how many unneeded files you can find and remove on your Mac!